For those who wish to get married in the south, to feel the heat on your skin, the warm breeze in your hair and who dream of an alfresco wedding, we have compiled a list of the 20 most beautiful venues; 20 exceptional spots to celebrate the most lavish of weddings, and all beneath the sun! As you must already know, France is a very beautiful country that offers you thousands of possibilities to pull of a magnificent wedding! We have included a particularly dense selection of landscapes: mountains, beaches, oceans, plains… The PACA reception venues present in our directory will not cease to fill you with wonder. Let’s find out! Nicknamed “The Small Versailles”, the Chateau Saint Georges in Grasse offers sweeping views across the Grasse country and the Bay of Cannes! The 3-hectare park could welcome your cocktail party, as much as the edges of the swimming pool whilst for your dinner you will have the choice between the Main Lounge, the Library or the pretty conservatory. For your ceremony there is even a charming “temple of love”! And, as an added bonus, you will have access to a sauna, a hammam and a jacuzzi! What could be better than a splendid chateau to celebrate the union with the love of your life? The Beaumetane Chateau, will offer you the perfect setting that you have so long dreamed of. 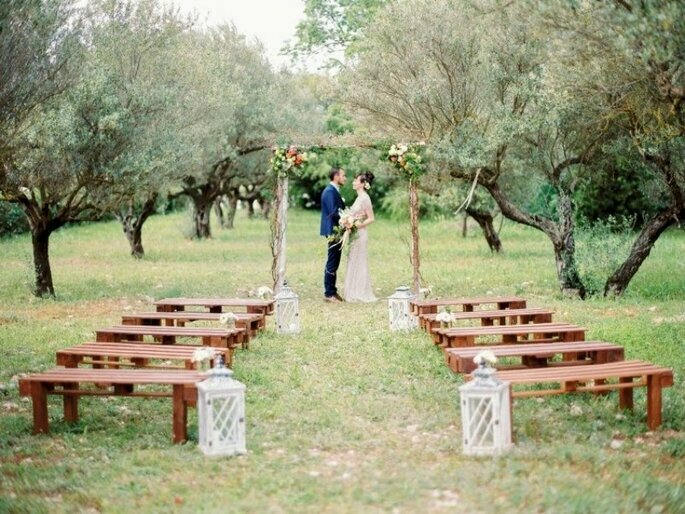 This enchanting venue located in the heart of Provence will charm all of your guests, and will render your ceremony incomparably majestic. Offering you breath-taking views across the landscapes of Provence, and overlooked by the hills of “Sainte Victoire”, this green oasis provides you with an environment that is quite simply sublime. With three spacious rooms, and its verdant gardens, the Beaumetane Chateau gives you access to incredible areas that will welcome every stage of your ceremony. And because immortalising important moments of your special day remains essential, have no doubts about the perfection of your photos; as you may have noticed, the chateau will offer you dazzling décor for your wedding. On the island known as Île de Saint-Honorat you will find Lérins Abbey. This beautiful, classified site invites you to experience an unusual reception. You will begin with a cruise that transports you to the island, where you will discover this treasure chest of luxuriant vegetation and its 8 hectares of vineyards. For more than 1600 years Lérin Abbey sells dreams to its visitors with its incredible history. You and your guests will be in awe of this imposing building and all that it provides you with for your wedding. The “Pavillon Sully” nestled in the vineyards of the Chateau Amérade in the PACA region is to die for! Its peaceful environment, in which there are hundreds of olive trees, vineyards and pink laurels, promises you sweet moments in the company of all your guests. This venue is not like any other: its charm and elegance will seduce you at first glance. In an instant you will be propelled into organising a rustic and refined wedding. On your table, don’t forget to add a bottle of one of its prestigious classified Crus. The owners of this magnificent venue also offer several services to enliven your evening, discover them in their brochure. 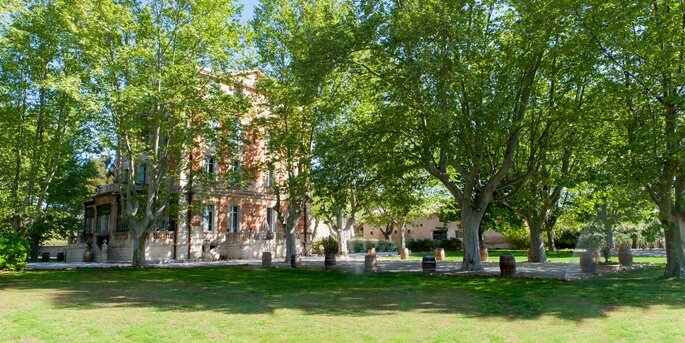 In a protected environment in the heart of the Provence countryside, the “Bastide des Barattes” from the early 1700s, has been tastefully restored to offer you at your wedding, a lavish reception. Outside you will benefit from a beautiful landscaped garden with a large secure swimming pool, perfect for organising a romantic and natural cocktail party! 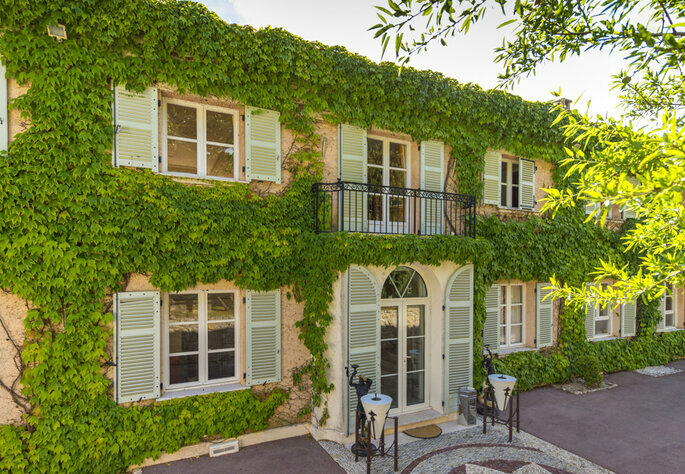 The “Bastide des Barattes” also boasts bedrooms that can accommodate up to 12 people. You will feel at home within a dwelling typical of the region surrounded by flowers, and flanked by poplar trees. 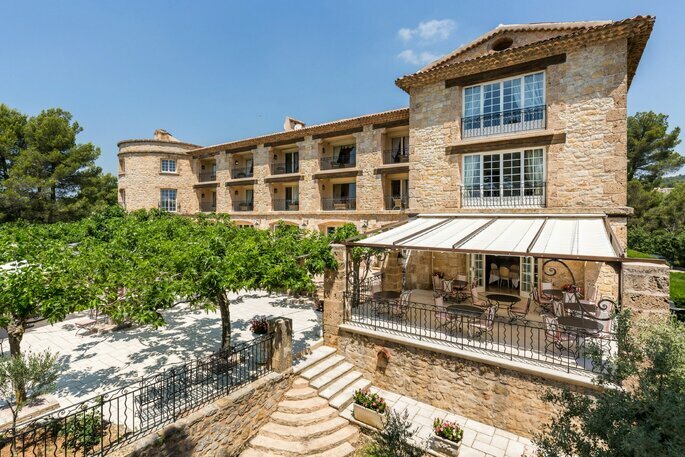 As soon as you arrive at the superb 5-hectare park, you will notice the splendid Renaissance façade of the Chateau Barbegal! This venue possesses an incredible cachet. It may be the décor of your cocktail party, if you organise it in the vast parkland, in the shade of the hundreds of trees. For your meal, you may commit to the oval “Room of Honour”, measuring 300m2 that can accommodate up to 200 people. It boasts a dance floor and majestic interior décor including a marble floor and gorgeous crystal chandeliers. 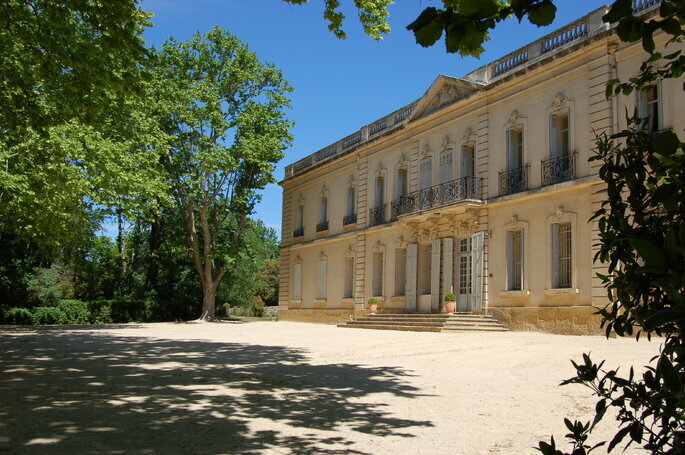 The Bastide de Tourtour is nestled in the heart of 4-hectares of parkland which may be the theatre for your reception. The ambiance will be relaxing and gluttonous! A stunning terrace is also available, along with a swimming pool and a pretty room with natural beams and stonewalls. 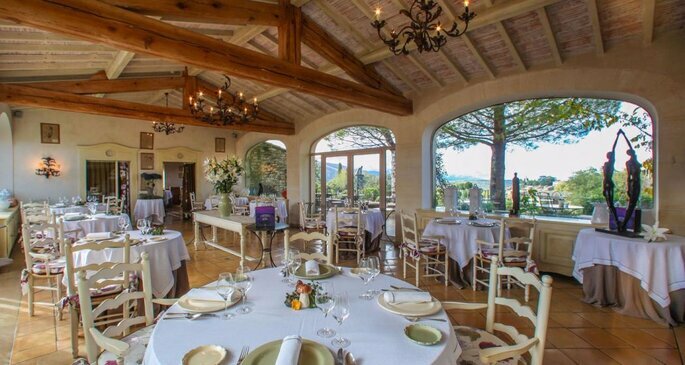 In addition, the gourmet Provencal cuisine will be sure to enchant your taste buds! Le Mas de la Rose is a fabulous 25-hectare residence dating back to the 17th Century. 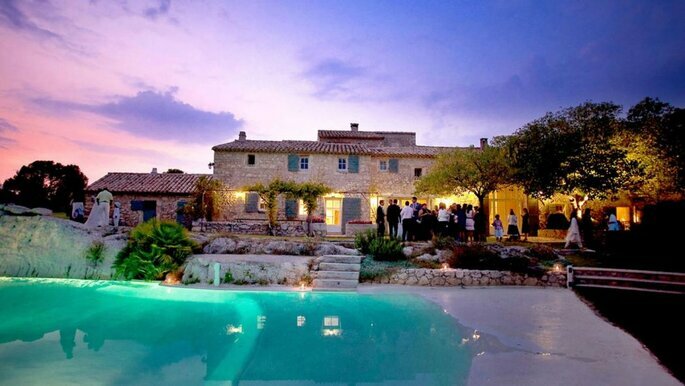 It is an enchanting setting, in the heart of Provence, to hold your wedding. The décor of the various reception areas is elegant and in keeping with nature. This mini-Provence boasts panoramic views across splendid parkland, the gorgeous swimming pool, lavender and the breath-taking architecture of the Provencal farmhouse itself. 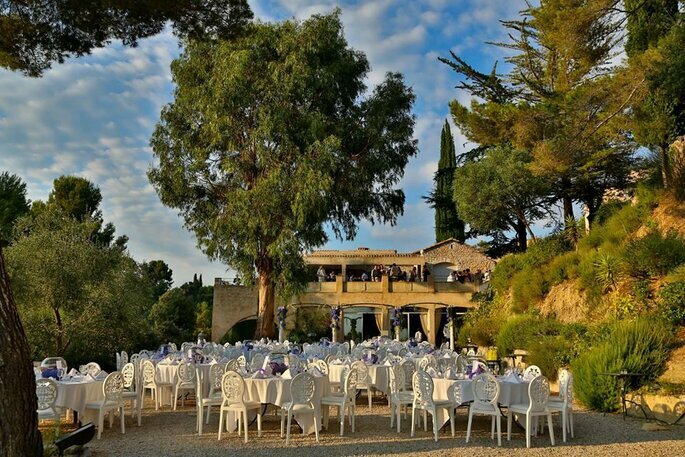 Located in the countryside of Avignon, “Le Moulin des Gaffins” invites you to celebrate your wedding in a peaceful environment with incredible panoramic views! A little before your ceremony you will be able to relax by the pool. And after you have said, “Yes”, a stunning cocktail party will be waiting for you in the delicate shade of the orchard. This old 17th Century mill offers you “The Courtyard Room” for your delicious dinner. With its chic, rural style, this room has everything you need! The 400m2 space can accommodate up to 200 people. You will also be able to enjoy the fabulous 1.5-hectare parkland at your leisure! 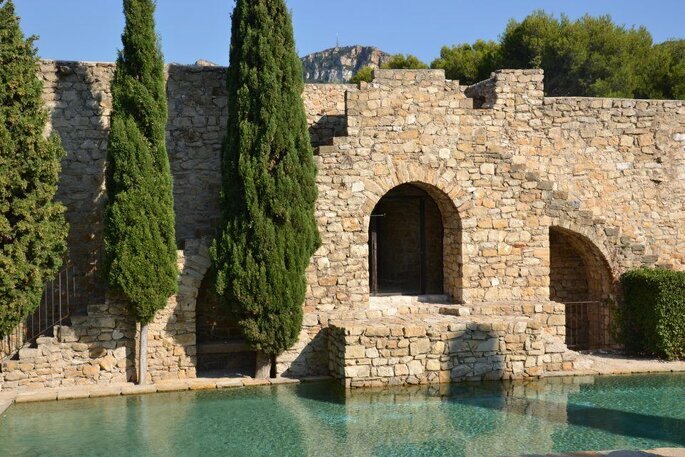 The jewel of the Mediterranean, Chateau de Cassis invites you to immerse yourself in several centuries of history! The architecture with its oriental influences will provide you with a unique and sublime setting for your event. The team at the Chateau will help to organise you a prestigious reception in different areas such as decoration, catering, entertainment and accommodation. They will advise you and bend over backwards to ensure that your day lives up to your highest expectations! 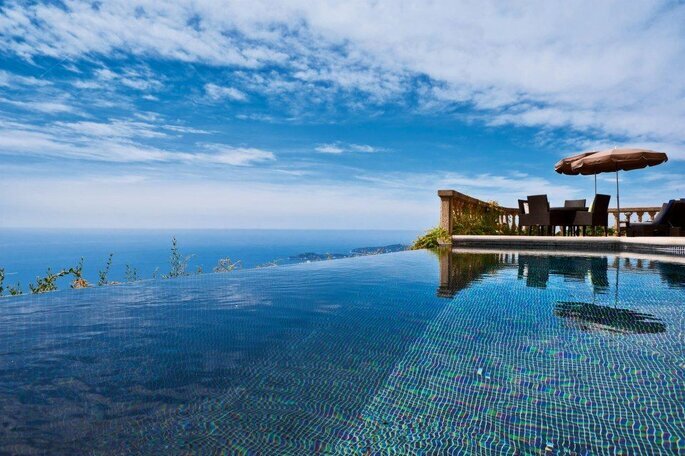 Finally you can enjoy a magnificent swimming pool and a breath-taking view across the deep ocean! In the outstanding Luberon nature reserve stands the exceptional “Domaine de Capelongue”. It offers an exclusive setting for your wedding where you will create unforgettable memories! As a reception venue, you will be able to indulge in the gourmet restaurant, of which the cuisine is both inventive and tasty! For a complete success you can count on the in-house team who will create a cocktail party by the pool, at the heart of spectacular landscapes. The “Chateau du Mont-Leuze” is a Provençal chateau boasting an idyllic environment for your wedding day. With is 13-hectare landscape harbouring “Le Jardin des Artisites”, a swimming pool as well as two reception rooms, each offering a different style of décor, one classic and the other contemporary, you really will experience a fabulous day! A chef will also be available to ensure a quality catering service, and the chateau also invites you to take advantage of its 23 superb villas to accommodate all your guests within the residence. 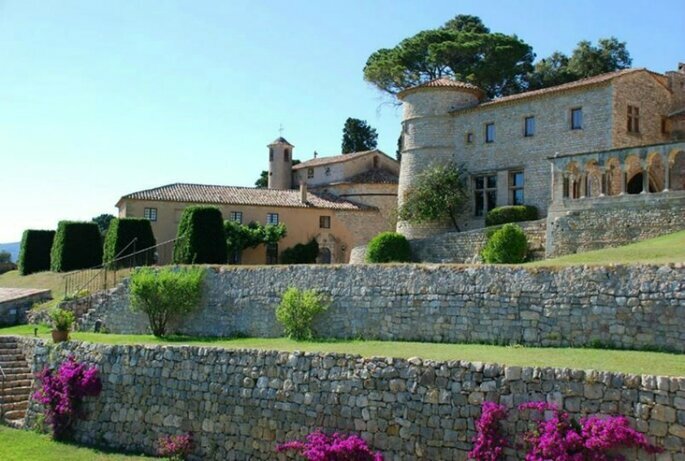 Nestled within the hills of Nice, in full heart of the vineyard of Bellet, the “Domaine de Cleverland” is the perfect venue for the celebration of your union. The terrace is ideal for the cocktail party, from which you can also gaze across the 20,000m2 park, its pine forest, the lagoon pool and the shoreline! For your delicious dinner, you will have the choice between “La Commanderie” with its sleek and elegant interior or an alfresco buffet within the extensive courtyard of this building. Finally, the chef will provide a creative and sophisticated cuisine. 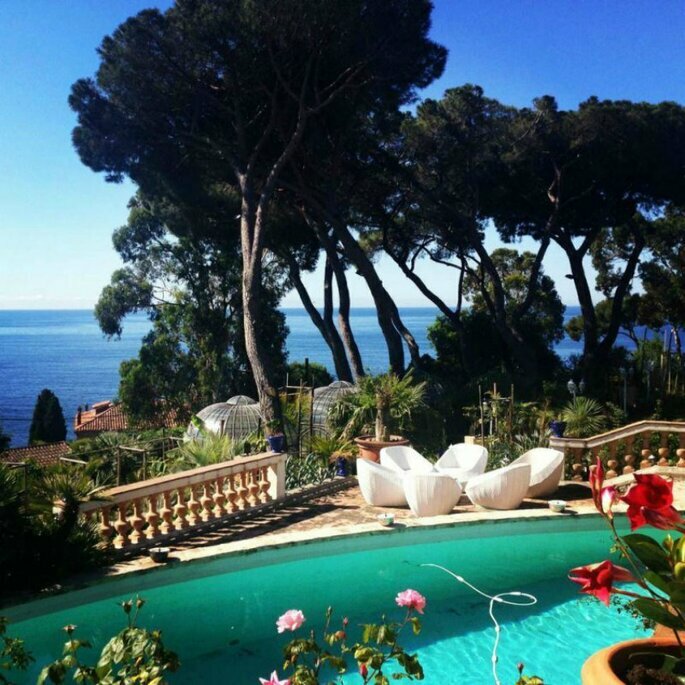 This most beautiful beach is located on the peninsula of Saint Jean Cap Ferrat, in a particularly privileged spot that will enhance your romantic day with its post card décor. The private “Plage de Passable” is synonymous with refinement, charm and luxury; an enchanting setting in which to tie the knot! Emotions will be running high for your fairy tale… and you can enjoy it throughout the next day by organising a brunch with water-sport activities for those guests who have energy to spare! 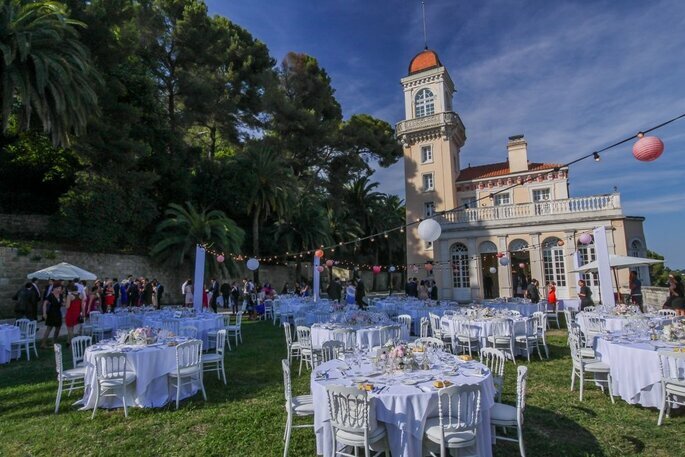 “Chateau de la Chèvre d’Or” boasts one of the most magnificent panoramas of the Côte d’Azur and invites you to gaze across the Mediterranean while investing in this dream-like setting for your wedding! The gardens and the swimming pool will welcome a beautiful outdoor wedding! Intimacy and authenticity are the watchwords of this stunning chateau and the services on offer are of the highest quality to ensure that your dreams become reality at the “Chateau de la Chèvre d’Or”! 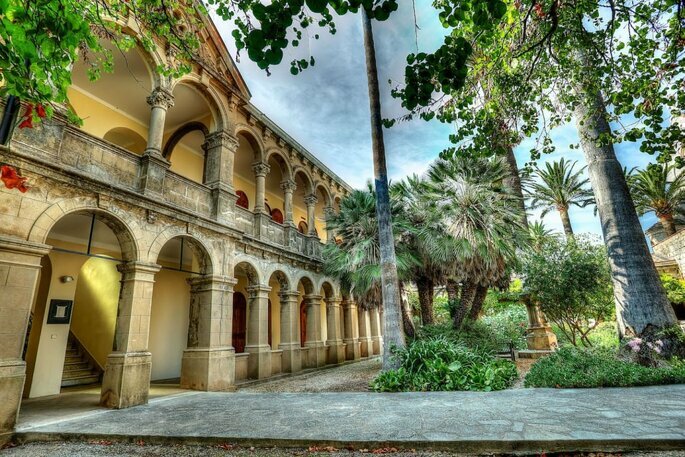 The original architecture of the Chateau de Castellaras lends it its exceptional beauty. At the time, its architect assembled elements from the 12th, 15th and 16th centuries, from ruins in the Pyrenees and Provence and gave them new life in a new building. Inside the Chateau you will have the choice of different reception areas according to your number of guests, and you will also be able to opt for a huge marquee in the park that can accommodate up to 1500 people! As a bonus, you can celebrate your ceremony in the 11th century chapel! At the Pins Penchés, it will feel as if history is engraved in the stone! This renders the venue an utterly charming idyll. From the large conservatory you will enjoy a stunning view across the park and this wonderfully natural and calm environment. There is also, among the palm trees, a sizeable terrace, swimming pool and large covered areas both inside and out. Finally, the astounding view across the Mediterranean Sea is not one to be missed! 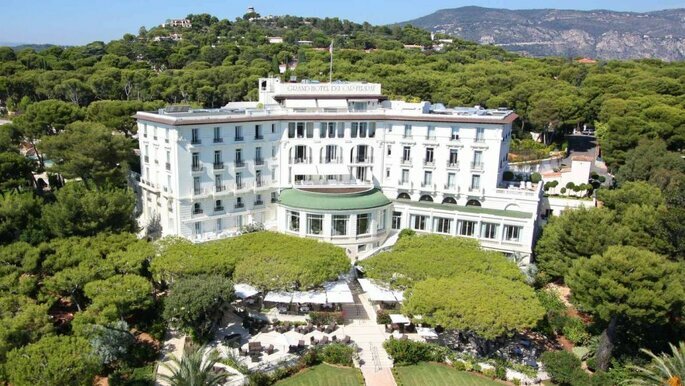 You will be undoubtedly seduced by the luxury and sophistication at the Grand-Hôtel du Cap-Ferrat. 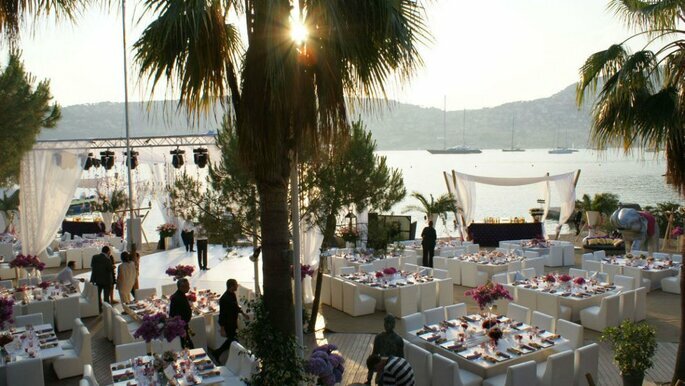 This is the Côte d’Azur’s most legendary palace hotel with a professional events team at your entire disposition, to fill your wedding with charm and romance! Your reception will be sumptuous and unforgettable thanks to the wonderful view as well as the very beautiful natural park on the waterfront! Finally you will have 73 bedrooms on hand as well as a spa to delight all your guests! For a particularly majestic reception you must consider chateau de Valmousse! 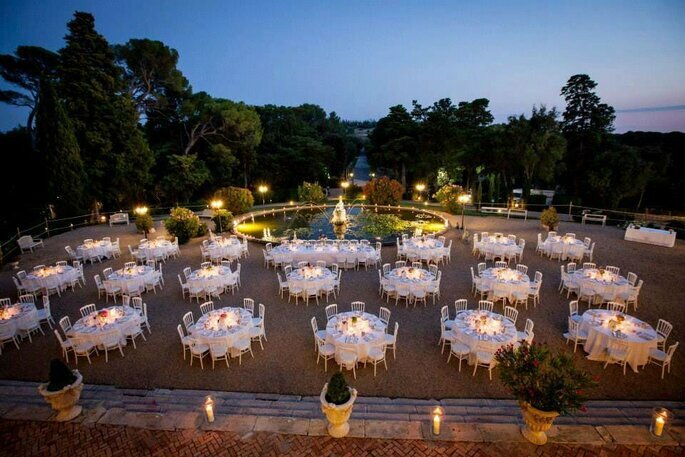 It is one of the most beautiful venues in the whole of Provence, which invites you to indulge in its superb 24-hectare park for your cocktail party, and then to invest in the pretty conservatory or the incredible courtyard for your dinner. In any case, know that your reception will be utterly splendid! The chateau de Valmousse will also accommodate your guests in its rooms, all especially prepped for the occasion! If you are getting married in France, I am sure that the following would be of interest!